Photography is my passion. I started out as a hobbyist and developed the skills to be hired as a Professional News Photographer in a highly competitive field. 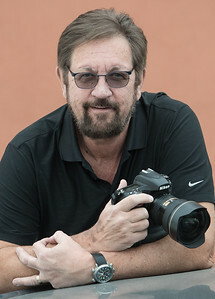 I have more then 30 years experience as a News Photographer. I am skilled in all aspects of photography and for many years I was one of the most published photographers at the Edmonton Journal. My specialty is Feature Photography. A Feature (or Enterprise) photo is one that stands on it’s own with no story and is usually a found situation. Often these are of active people doing things such as pick up sports, walking a pet, or participating in City of Edmonton events. As a result of this particular skill, I am familiar with all of the annual activities in Edmonton as well as the usual City of Edmonton Attractions. • I am personable and able to approach people who respond positively to having me take their picture.